We got word of this awesome sounding project a while ago and have been eagerly awaiting more news. 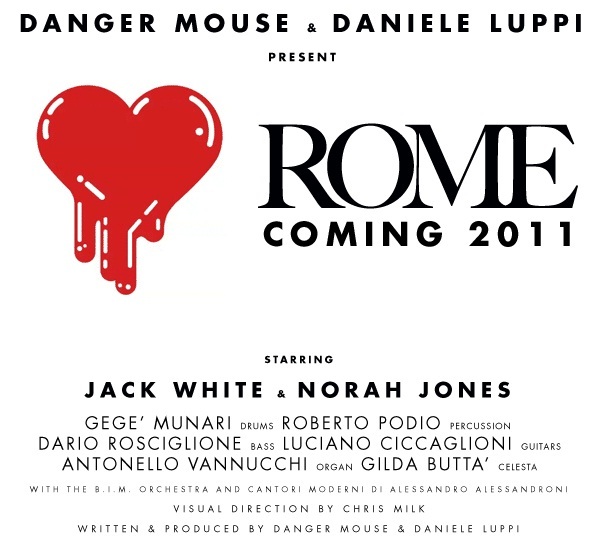 Today we got it in the form of the tracklisting for Danger Mouse's and Italian composer Daniele Luppi's forthcoming album Rome. The Spaghetti Western influenced project features Norah Jones and none other than Jack White. You can check out the tracklisting after the jump and while you're at it take a listen to the snippets of the album that we posted up a few weeks ago just below. [Watch] Glassjaw - "All Good Junkies Go To Heaven"